탑은 승려의 무덤을 상징하여 그 유골이나 사리를 모셔두는 곳이다. 유마사로 오르는 입구에 세워져 있는 이 탑은 탑에 새겨진 기록을 통해 해련스님의 사리가 모셔져 있음을 알게 되었다. 전형적인 8각 사리탑으로, 3개의 받침돌로 이루어진 기단(基壇) 위에 탑신(塔身)을 얹었다. 아래받침돌은 옆면에 안상(眼象)이 얕게 새겨져 있고, 윗면에는 활짝 핀 꽃조각이 있다. 가운데받침돌에도 큼직한 안상을 새겨 두었으며, 탑신을 직접 받치는 윗받침돌에는 커다란 연꽃잎조각을 둘러놓았다. 탑신의 몸돌에는 앞뒷면에 문짝 모양을 새겨 두었는데, 앞면에 새긴 문에는 문고리까지 장식되어 있고 그 윗부분에 '해련지탑(海蓮之塔)'이라는 글자가 새겨져 있다. 지붕돌은 밑면에 넓직한 3단의 받침이 있으며, 8각의 모서리는 두툼하게 표현되어 있다. 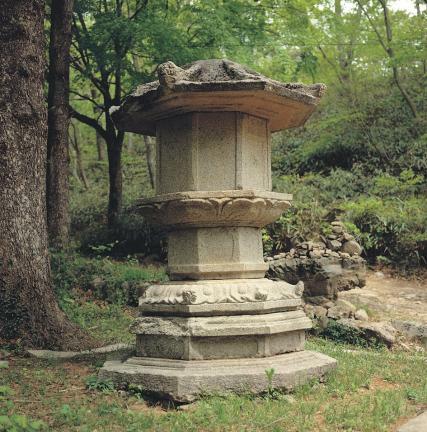 도굴범들에 의해 훼손되어 구조물이 흩어져 있던 것을, 1981년 화순군에서 복원하였다고 한다. 기단부의 모습이나, 탑신에 새긴 여러 조각의 양식으로 보아 고려 전기에 만들어진 것으로 짐작된다. 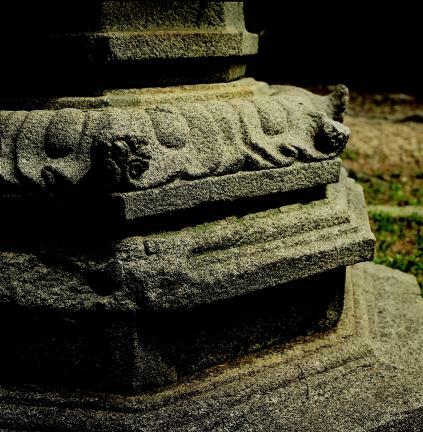 A stupa is a mound-like structure that enshrines the ashes of Buddhist monks. 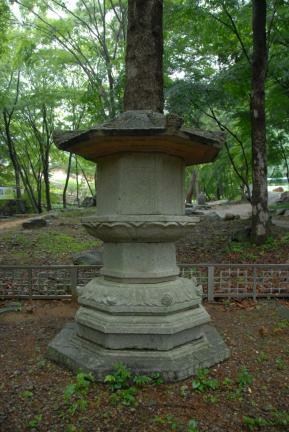 This stupa, standing at the entrance to Yumasa Temple, was found to contain the relics of Buddhist Monk Haeryeon, judging from the inscriptions on it. 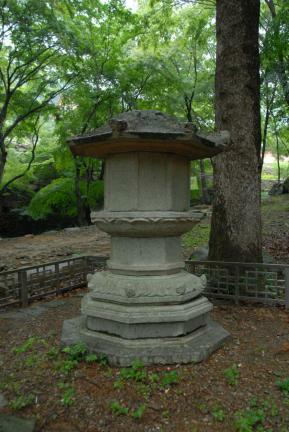 This is one of the typical octagonal stupas whose body is placed on the three-story octagonal platform. 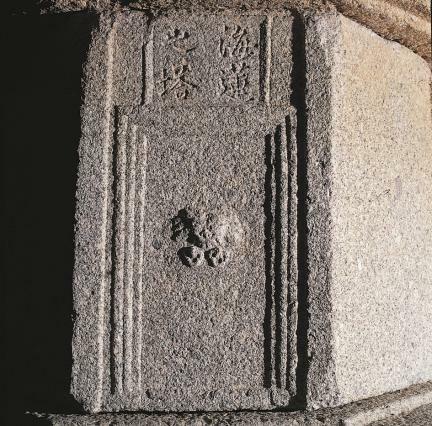 The bottom platform has round carvings on every side as well as a decoration of flowers in full bloom carved at the upper edge corners. Round carvings that fill the full side area are made on every side of the middle platform. 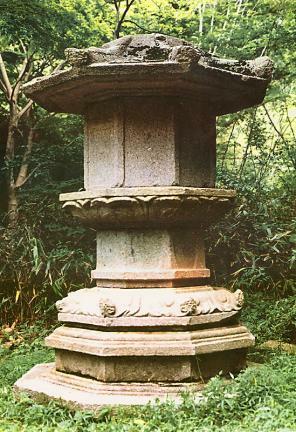 The top platform, which directly supports the body, is carved with the design of lotus petals. 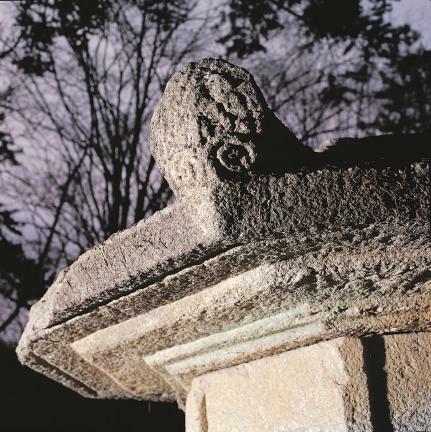 The front and back of the body are carved with a door design; the door on the front side has a handle and an inscription meaning “Stupa of Haeryeon.” The roofstone is propped by three-story support in a wide shape with thick octagonal edges. 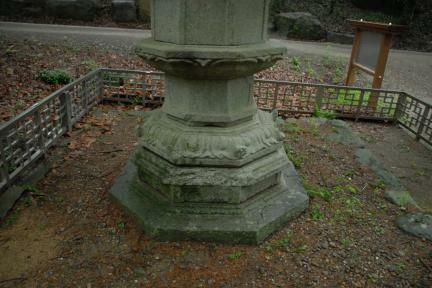 This stupa was once damaged by robbers, and the components were scattered around. 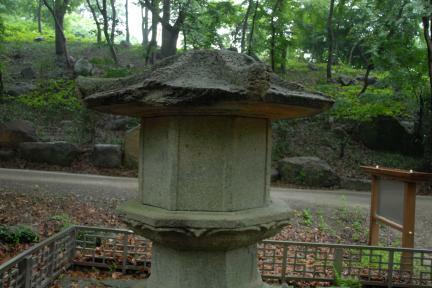 It was restored to its original state in 1981 by the Hwasun-gun authority. 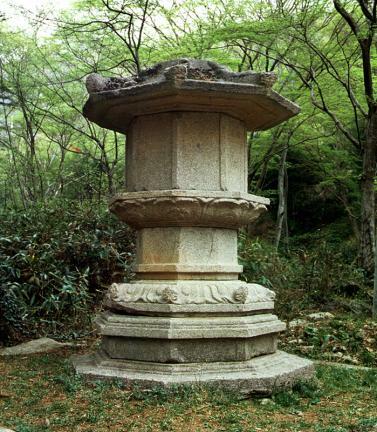 The type of platform and the various carved patterns on the stupa body suggest that this stupa was built in the early Goryeo Period.